What Animals Commonly Eat Hamsters in the Wild? Domesticated hamsters are popular pets that can bond strongly to their owners. 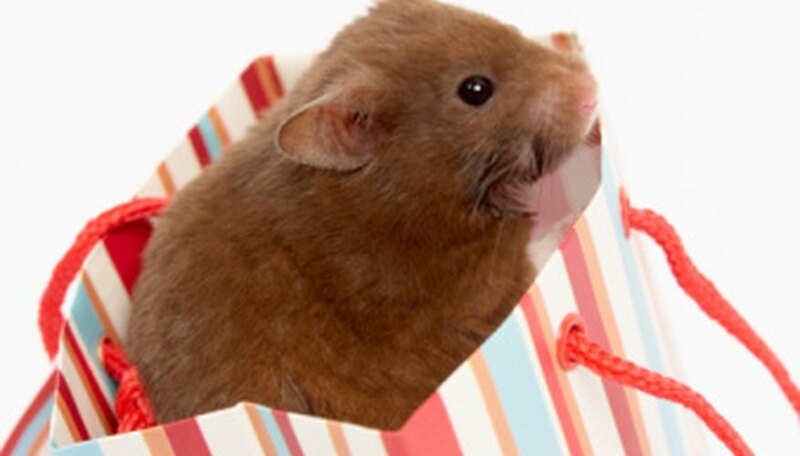 Many hamster owners find that their hamsters are skittish and easily startled by loud noises and rapid movements. This is because hamsters are prey animals in the wild and are eaten by a variety of predators. They build large burrows to protect themselves from predation and consequently prefer dry, desert-like habitats. Most species of snakes prey on rodents like hamsters, and hamsters are at risk of being eaten by a variety of snakes. Diamondback rattlesnakes are common in the hamster's natural environment, and juveniles frequently eat hamsters. Adult rattlesnakes prefer larger prey like rabbits. Kingsnakes, gopher snakes and rat snakes also eat hamsters. Birds of prey are carnivorous birds that use their feet instead of their beaks to catch food. They have keen eyesight and prey on hamsters in the wild. Common birds of prey in the hamster's native habitat include peregrine falcons, hawks, eagles and owls. Canidae is the taxonomic classification for the dog family. Many wild canids eat hamsters, including foxes, jackals, coyotes and wild dogs. Adult wolves may bring juvenile wolves hamsters to eat. Some canid puppies chase hamsters in play and inadvertently kill them. In some parts of the world, large colonies of feral cats prey on hamsters and other small rodents. Hamsters may also be eaten by both pet cats and feral cats in the southwestern United States. Though hamsters are kept as pets in the United States, in some parts of the world they are considered delicacies. In South America, some tribes eat both hamsters and guinea pigs. Prehistoric peoples may also have preyed on hamsters because they are small, easy to catch and unlikely to injure a hunter. What Does a Partridge Eat? Davis, Brenna. "What Animals Commonly Eat Hamsters in the Wild?" Sciencing, https://sciencing.com/animals-commonly-eat-hamsters-wild-8467984.html. 24 April 2017. What Type of Ecosystem Does an Owl Live in?